﻿ How do you keep mice away from the trash? How do you keep mice away from the trash? If a mouse is stuck in the trashcan outside, you should simply tip it over and it will go out. Keeping mice away from the trash outside can be difficult. Getting professional help will give the right results. A mouse proof metal trash container has a lid that fits tightly and it will help in avoiding repeated problems. If you want to keep mice from frequenting your garbage, you can set traps in the area and make sure that the rodent dies quickly. After it has died, then you can dispose of it in a proper way. You should wear gloves and you can place it in a plastic bag. You should seal it tight and dispose of the mouse in the nearest dumpster. You can then disinfect the area using a household cleaner so that it does not become a threat to your health, as they can transmit numerous diseases. The gloves you used should also be put in the sealed tight bag in a dumpster in order to avoid the transfer of diseases. To avoid the mice entering into your home in the first place, you should make sure that the trash is properly contained. The mice can be attracted to the smell, so it is good if you keep the trash contained in the yard rather than the house. 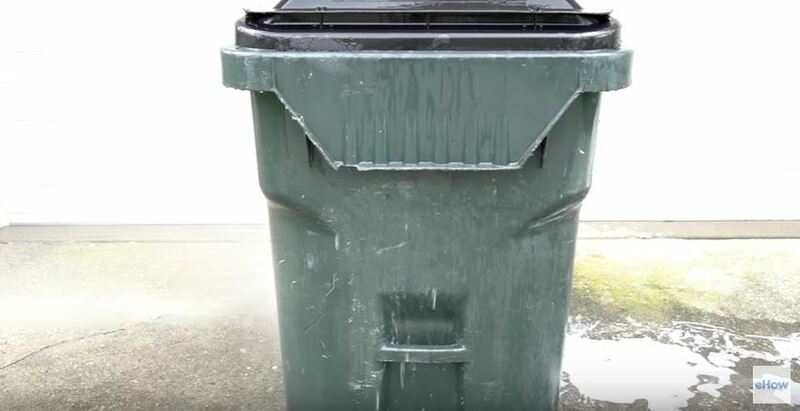 You should use trash cans with tight-fitting lids on the inside and outside of your home. You may also decide to keep the cans in the garage until trash day. You have to ensure that the trash is removed each collection day – you forgetting would be a welcome treat for mice! The mice can also be attracted to recycling containers because the bottles, boxes and cans can have traces of food still in them. You have to make sure that you thoroughly clean out any item that you place into the recycling bin. If you use a compost pit, you have to ensure that it is far enough from your home because it can also attract mice to your property. Go back to the How to Get Rid of Mice page or email us if you have any other questions about How do you keep mice away from the trash?